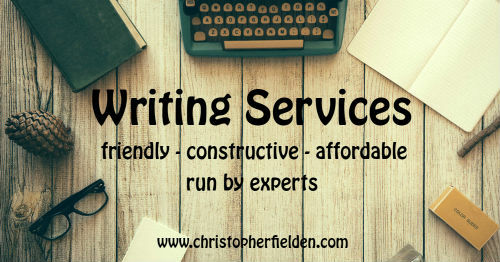 Chris started to offer writing services on his website in 2013. This was because Chris's website users contacted him regularly, asking him to critique their stories. There was obviously a demand for a service like this, so he launched one. In 2017, Chris was so busy with other projects that he had to pause his writing services to make his workload manageable. During this time, he considered how to improve his services and make them feasible around other work commitments. 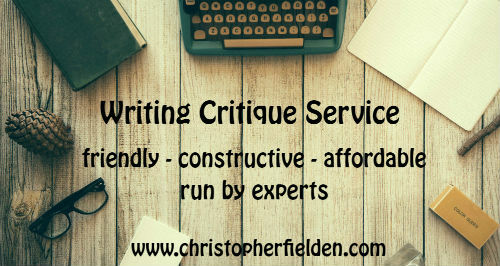 Early in 2018, Chris put a small team of experts together and relaunched his writing services. The combined knowledge of the writers and editors in the team, all of whom have extensive experience in their areas of expertise, has allowed Chris to expand the range of services he offers. This gives clients more choice and a better quality of service. You can learn more about the team members on the meet the team page. You can find out more about each service below, and on their dedicated service pages. We offer professional critiques for short stories, flash fiction, poetry and novels. The critiques are constructive and delivered in a friendly, encouraging manner. The service gives you detailed feedback on your writing and suggestions for improvement, to give you the best chance of having your work published. You can find the full details about our critique service, including prices, turnaround times, FAQs and testimonials, on the main critique service page. 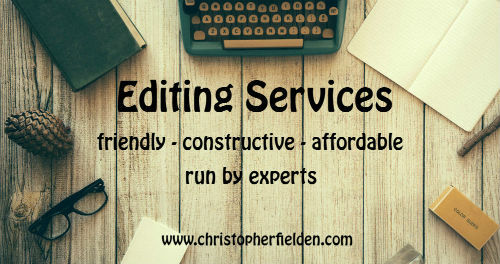 We offer a professional copy editing service for novels, short stories and non-fiction. You can find the full details about the service on the main editing service page. We offer a book formatting service, preparing your manuscript ready for printing as a paperback book or publishing as an eBook. As part of this service, we can help you upload your book to self-publishing platforms and make it available for purchase on Amazon and other online shops. We also offering a typing service, so if you have handwritten a book, we can type it up for you as well. 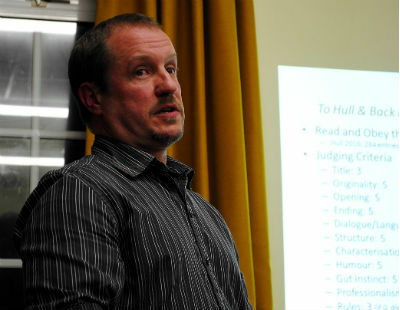 Chris runs writing workshops and delivers talks and presentations about being an author. He will consider travelling anywhere to do this. When speaking at events, Chris draws on real-life experience as an award winning and Amazon best-selling author. He talks extensively about being a short story competition judge, a published writer and running this website for a living. If you would like him to be a guest speaker at an event you're running, please look at his page about author talks and presentations. Hi Chris, I hope you are well. I am thinking of trying to get into proofreading and editing as a job. How did you get into it - can you recommend any courses? Hi Phil, I don’t know of any courses. Most of what I offer is based on critiques I’ve received from dealing with professional publishers and editors over the years. I’m sure there are courses out there though. Dear Chris. I am a student of medicine in my 3rd year in Islamabad Pakistan. I love to write short stories and have never tried submitting to a magazine before. Would you be kind enough to help me to get my stories and essays published? On your kind response I will send you some examples of my writing. I’m afraid I receive lots of requests like this and cannot offer to proofread other writers work for free. If you want me to read your work, please see the paid service I offer above. To enter competitions and approach magazines, the best bet is to look through the lists on my website, see which are most appropriate for your style of writing and then submit to them directly. You can start your research in the Writing Advice section of my website. Dear Christopher, what is the format for sending you a short story for assessment in the critiquing services you offer? Hi Janak. You can find out about my proofreading services and how to submit by reading the page above. Unfortunately, my services are closed at the moment as I have received many entries into my short story competition and have lots of reading to do. Please let me know if you are happy to wait until I can open these services again. If not, you can find details of other reputable proofreading services here. Dear Christopher, I have read about your proofreading services including the prices. I understand you are preoccupied with other things, it's okay. I will contact you later, when you are free. Kind regards. How much is it going to cost me for a story that is 10,000 words long in US money? Hi Tom. Thanks for your interest in my services. With the current pricing, it would be around $135. However, I am currently reviewing my pricing and will be reopening this service in February/March, so please check back with me then. I'm putting a team of editors together, so am having to review the whole offering at the moment. Sorry I can't give a definite answer right now. Hi Chris. I would like to know how much you would charge for copy editing of a novel of 75, 000 words, and how long it takes? Hi Nasrin. Thank you for your interest in our services. Copy editing a novel takes up to 2 months. Our usual turnaround time is 4 to 6 weeks. 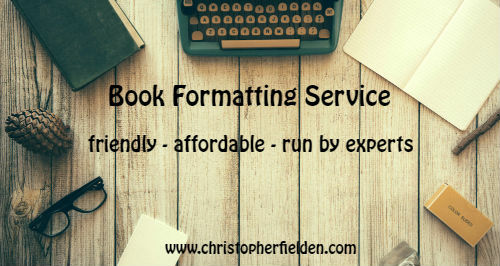 Full details regarding prices, turnaround times and the service offering can be found on the main copy editing services page.